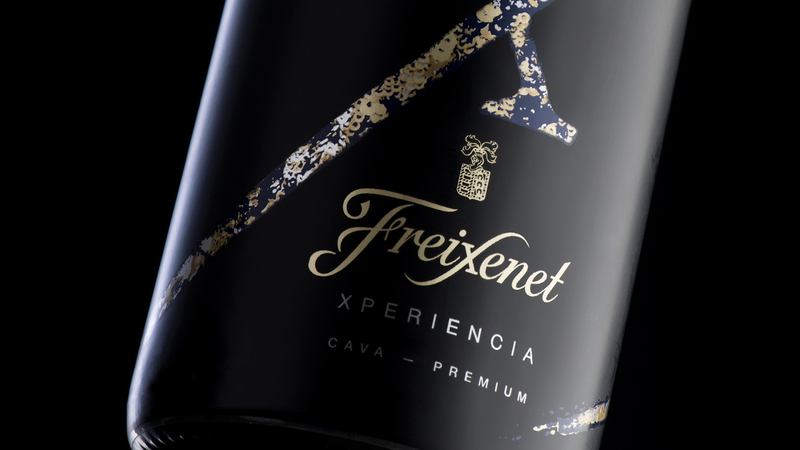 When Freixenet wanted to create a new special edition Cava for the French market, they approached DAf to create the packaging. 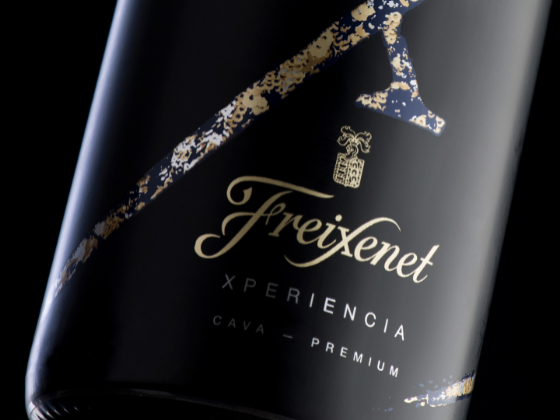 This was a sparkling wine envisioned to mirror the continuously moving, vibrant nightlife of Barcelona; a city of ever-changing lights and a multitude of party spaces. 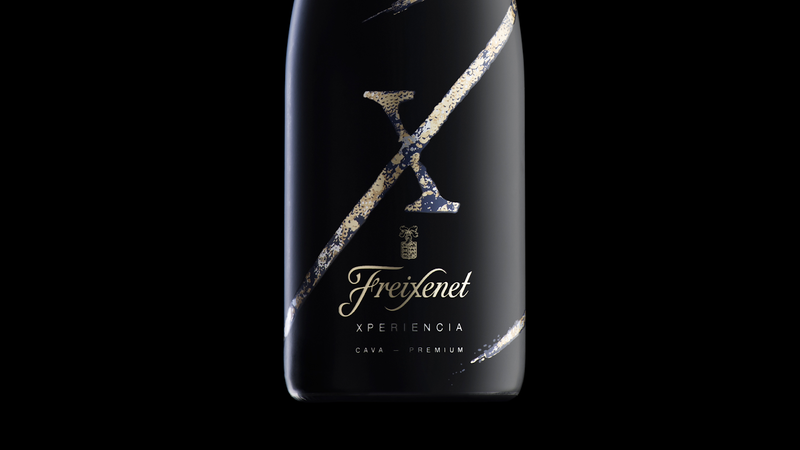 Using this iconic, vibrant mood as their strategic and creative base, DAf created the product name “Xperiencia.” The bottle featured an oversized “X,” as an iconic symbol taken from the brand name, and a striking, impossible-to-miss sleeve made especially for the night. 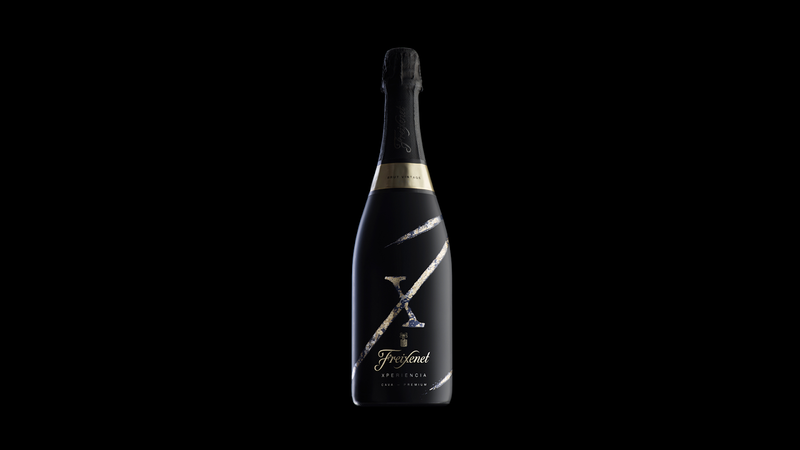 The packaging design features a sequined touch to reflect the cultural legacy of Freixenet’s gold sequin-adorned “Burbujitas” dancers, plus a very particular finish that transforms the design’s streaks from blue to electric blue in the presence of a black light. Under black light, the design’s streaks transform from blue to electric blue, thanks to a special finish on the sleeve. The process of determining the exact hue required to create this black light transformation was an extremely in-depth process, but one that ultimately resulted in a high-impact, head-turning design. DAf supervised this very specific printing process, completed by Sleever International, Paris.